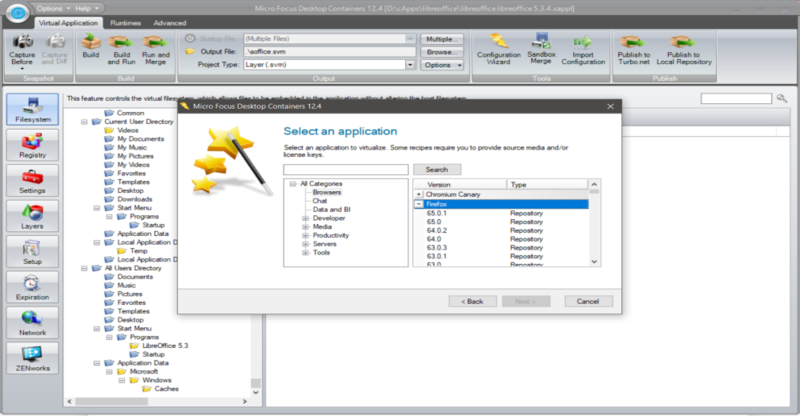 Desktop Containers allows you to create applications that can be packaged once and run on any Windows XP or higher device. This add-on features the Turbo.net hub subscription service with thousands of prebuilt containerized apps from Adobe, Google, Firefox, and other popular software vendors. Keeping your workforce productive is a challenge in any major OS migration. Desktop Containers ensures your workforce has complete access to their Windows applications before, during, and after a migration. Desktop Containers speeds your application deployments by dramatically reducing testing time and eliminating application installations.